Samuelsen, J. and Khalil, M. (in press). Study Effort and Student Success: a MOOC Case Study. In Proceedings of the 21st International Conference on Interactive Collaborative Learning, Greece, 25-28 September 2018. Springer. Khalil, M., Prinsloo, P., and Slade, S. (2018). User Consent in MOOCs – Micro, Meso, and Macro Perspectives. International Review of Research in Open and Distributed Learning, 19 (5). sessions in MOOCs. In Proceedings of the fifth Learning With MOOCs Conference, pp. 131-133, Madrid, Spain, 26-28 September 2018. IEEE. Khalil, M., Prinsloo, P., and Slade, S. (2018). The unbearable lightness of consent: Mapping MOOC providers’ response to consent. In Proceedings of the Learning @ Scale Conference (L@S), London, 26-28 June 2018. ACM. Prinsloo, P., Slade, S., and Khalil M. (2018). Stuck in the middle? Making sense of the impact of micro, meso and macro institutional, structural and organisational factors on implementing learning analytics. In Proceedings of the 27Th EDEN Annual Conference, pp. 326-334, Genova, Italy, 17–20 June 2018. Zafar, F., Wong, J., & Khalil, M. (2018). Gamifying Higher Education: Enhancing Learning with Mobile Game App. In Proceedings of the Learning @ Scale Conference (L@S), London, 26-28 June 2018. ACM. Ebner, M., Schön, S., Khalil, M., Ebner, M., Aschemann, B., Frei, W., & Röthler, D. (2018). Inverse blended learning in continuing education for adult educators. Journal University and Continuing Education (ZHWB) , 23-30. 8. Gamification in MOOCs: A Review of the State of the Art. Khalil, M., Wong, J., de Koning, B. B., Ebner, M., & Paas, F. (2018). Gamification in MOOCs: A Review of the State of the Art. In proceedings of the 2018 IEEE Global Engineering Education Conference (pp. 1635-1644). Santa Cruz de Tenerife, Canary Islands, Spain. Khalil, M., Davis, D., Wong, J. (2018). Gamification in MOOCs – General Overview. In Proceedings of the Open Education Global Conference, Delft, Netherlands, 26-28 April 2018, abstract pp.43. 10. Can Learning Analytics Find Success in Didactical Measurements? Results from a MOOC Case Study. 11. How Inverse Blended Learning can Turn Up Learning with MOOCs? Ebner, M., Khalil, M., Schön , S., Gütl, C., Asche-mann, B., Frei, W., and Röthler, D. (2017). How Inverse Blended Learning can Turn Up Learning with MOOCs?. In Proceedings of the international conference of Maker-MOOC 2017, Guatemala. 12. How can Gamification Improve MOOC Student Engagement? Khalil, M., Ebner, M., & Admiraal, W. (2017). How can Gamification Improve MOOC Student Engagement?. In Proceedings of the 11th European Conference on Games Based Learning: ECGBL 2017, Graz, Austria, (pp. 819-828). 13. Does gamification in MOOC discussion forums work? Ebner, M., Khalil, M., Wachtler, J. (2017). Chancen und Grenzen von Learning Analytics: Projektergebnisse bzgl. der automatischen Datenerhebung. In: Dr. Internet –Forschungsbericht zum Projekt, Zimmermann, C. (Hrsg. ), Verlag Mayer, S. 88-99 (15) Chancen und Grenzen von Learning Analytics: Projektergebnisse bzgl. der automatischen Datenerhebung. 15. Why Undergraduates Enroll in MOOCs? Khalil, M. (2017). Why Undergraduates Enroll in MOOCs?. In Rayyan, S., Pérez-Sanagustín, M., Delgado Kloos, C., Sandland, J. (Eds. ), Proceedings of the EMOOCs 2017 HybridEd Workshop, Madrid, Spain. Reference: Khalil, M. & Ebner, M. (2017). “Driving Student Motivation in MOOCs through a Conceptual Activity-Motivation Framework”. Zeitschrift für Hochschulentwicklung, 12(1), pp.101-122. Reference: Leitner, P., Khalil, M. & Ebner, M. (2017). 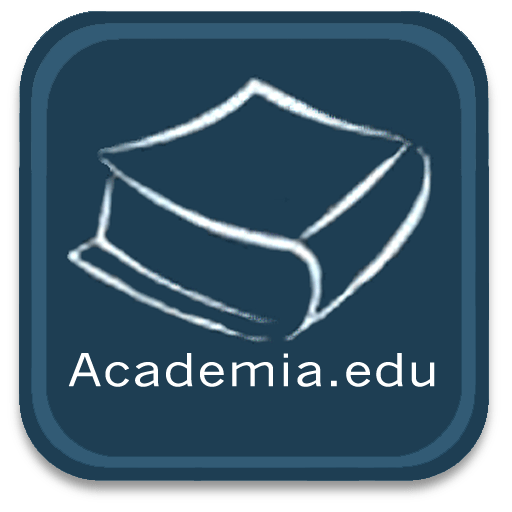 “Learning Analytics in Higher Education – A literature Review”. Learning analytics: Fundaments, applications, and trends: A view of the current state of the art. Springer International Publishing. Reference: Ebner, M., Schön, S.. & Khalil, M. (2016). “Maker-MOOC – How to Foster STEM Education with an Open Online Course on Creative Digital Development and Construction with Children”. In Proceedings of the 19th International Conference on Interactive Collaborative Learning (ICL 2016), pp. 1233-1240, Belfast, United Kingdom. 22. Learning Analytics in MOOCs: Can Data Improve Students Retention and Learning? Reference: Khalil, M. & Ebner, M. (2016). “Learning Analytics in MOOCs: Can Data Improve Students Retention and Learning?”. In Proceedings of the World Conference on Educational Media and Technology, EdMedia 2016, pp. 569-576, Vancouver, Canada. Association for the Advancement of Computing in Education (AACE). Reference: Khalil, M., Taraghi, B., & Ebner, M. (2016). Engaging Learning Analytics in MOOCs: the good, the bad, and the ugly. In Proceedings of the International Conference on Education and New Developments (END 2016), Ljubljana, Slovenia, pp. 3-7. 24. What Massive Open Online Course (MOOC) Stakeholders Can Learn from Learning Analytics? 26. On Using Learning Analytics to Track the Activity of Interactive MOOC Videos. Reference: Khalil, M. & Ebner, M. (2016). What is Learning Analytics about? A Survey of Different Methods Used in 2013-2015. In Proceedings of Smart Learning Conference, Dubai, UAE, 7-9 March, 2016 (pp. 294-304) . Dubai: HBMSU Publishing House. Reference: Ebner, M., Gailer, C., Khalil, M., Kopp, M., Lackner, E., & Raunig, M. (2016). Potential of EPUB3 for Digital Textbooks in Higher Education. In Proceedings of Smart Learning Conference, Dubai, UAE, 7-9 March, 2016 (pp. 324-336) . Dubai: HBMSU Publishing House. Reference: Khalil, M., Kastl, C., & Ebner, M. (2016). Portraying MOOCs Learners: a Clustering Experience Using Learning Analytics. In Proceedings of the European Stakeholder Summit on experiences and best practices in and around MOOCs (EMOOCS 2016), 265-278. Reference: Lackner, E., Ebner, M., & Khalil, M. (2015). MOOCs as granular systems: design patterns to foster participant activity. eLearning Papers, 42, 28-37. 32. A STEM MOOC for School Children – What Does Learning Analytics Tell us? Reference: Khalil, M., & Ebner, M. (2015, June). Learning Analytics: Principles and Constraints. In Proceedings of World Conference on Educational Multimedia, Hypermedia and Telecommunications (pp. 1326-1336). Reference: Khalil, M., Brunner, H., & Ebner, M. (2015). Evaluation Grid for xMOOCs.International Journal of Emerging Technologies in Learning, 10(4).